The Gem Organizer by Woud is a storage box, which safely locks its content. 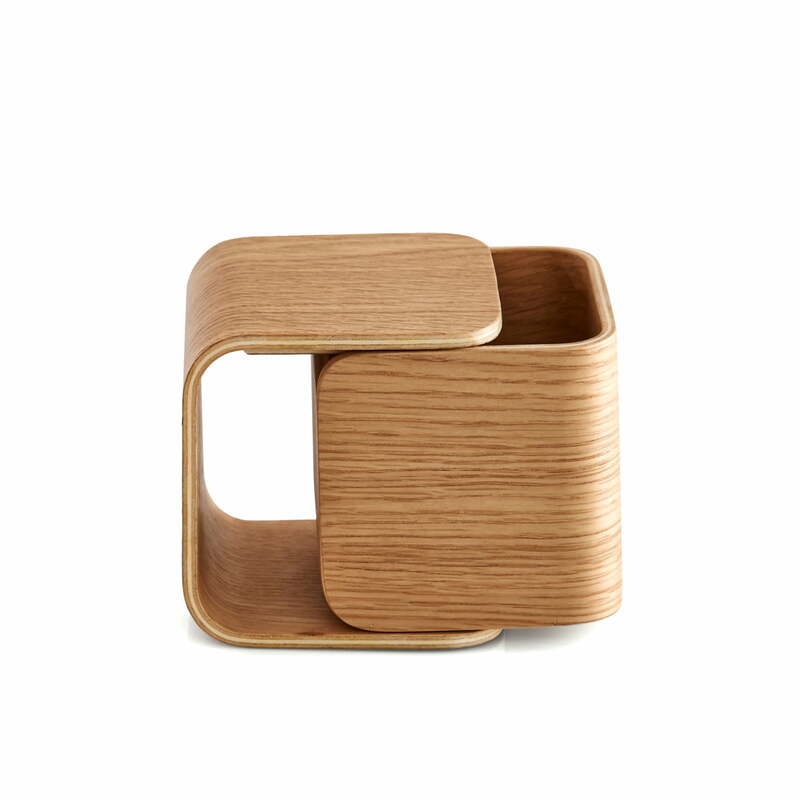 Gem means “save” and describes the function of the shapely box made of varnished Oak veneer perfectly. The design of the box comes from the designer duo Fraii, who simply put two identical, organic shapes together thus creating a rounded cube, whose inside has ample room for small items. Coming in two different sizes, the special organizer Gem stores perfumes as well as little souvenirs. In addition, the design is suitable as storage or gift box on special occasions. Individual image of the Gem Organizer in small produced by the manufacturer Woud. 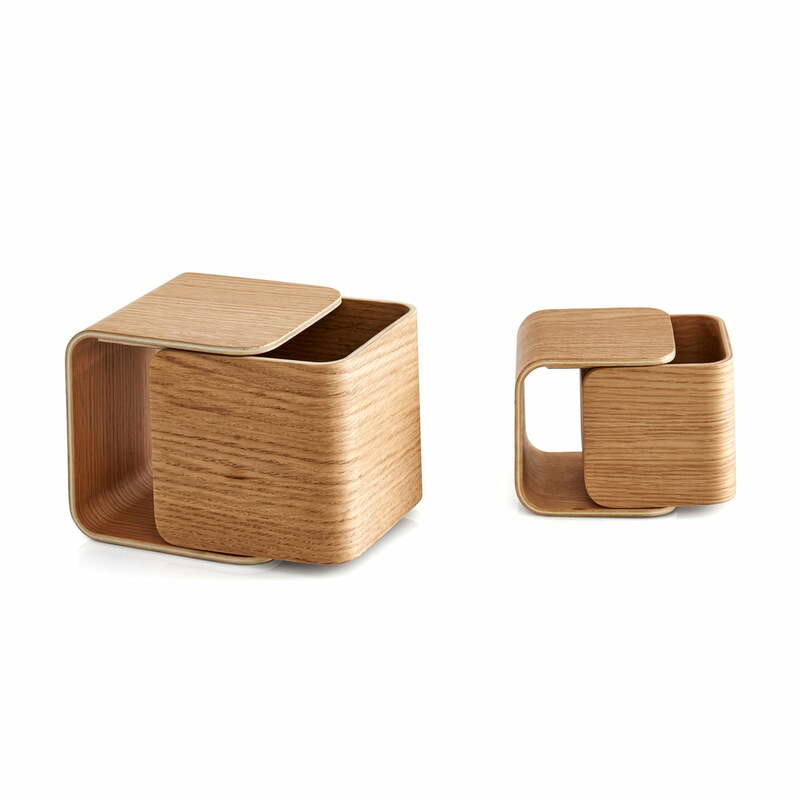 The Gem Organizer by Woud is a storage box, which safely locks its content. 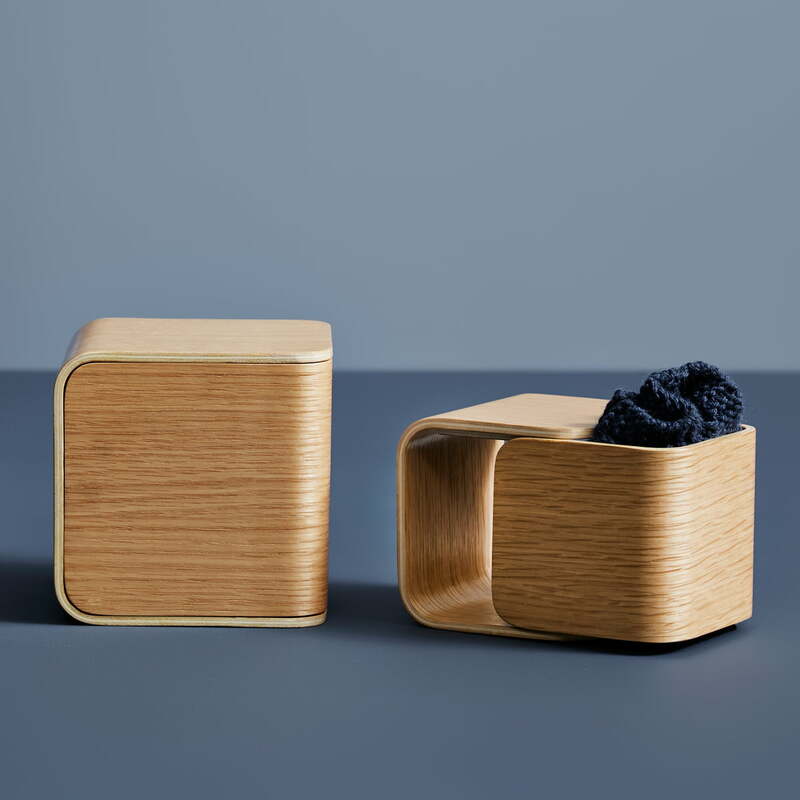 The Danish word "GEM" means “save” and describes the function of the shapely box by the Danishmanufacturer Woud made of varnished Oak veneer perfectly.